Hello, and welcome to pibuu! “Pibu” means “skin” in Korean, and pibuu is where you’ll find everything you need to know about skincare and Korean beauty. pibuu will help you better understand and take care of your own skin – so it can be as healthy, elastic, and playful as the bouncing dot atop the “i” of the pibuu logo. Why pibuu was created – the backstory. 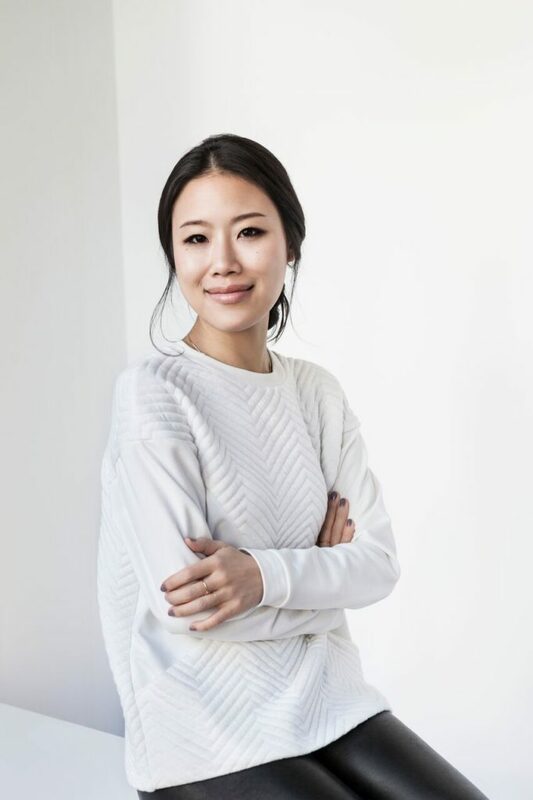 I’m a licensed esthetician and the founder of Peach & Lily, an online destination that transports you to a world of delightful Korean beauty brands. K-beauty is known for innovation, fun, and, most importantly, for delivering results. I noticed early on that our customers were eager – at times even desperate – for guidance in picking the products that would deliver the best results for their skin. For these customers, and for anyone who has a skincare question of any kind, we launched our Ask Lily program. Email [email protected] and you will receive personalized skincare advice from Peach & Lily’s real, live, expert estheticians – all for free. Ask Lily exploded in popularity as soon as it was launched. We quickly realized that there is so much curiosity and passion for skincare, but also considerable confusion and anxiety. One question kept coming up in our Ask Lily exchanges – where can I continue to educate myself about skincare and Korean beauty? pibuu was created as an answer to that question. What you’ll find on pibuu.co – the details. Here at pibuu, you’ll find skincare advice that you can trust. All the advice is written and vetted by experts, including licensed estheticians, dermatologists, nutritionists, chemists, and researchers. Since our roots are in Korean beauty, you’ll find plenty of K-beauty covered at pibuu as well. You’ll also find everything from makeup tutorials to lifestyle stories to product reviews (both Korean and non-Korean products). You’ll also find a welcoming community. We encourage you to leave comments, ask questions, share your story – and our team will be right here to chat. And of course, like Ask Lily, only licensed skincare professionals will answer the skincare questions you leave on pibuu. A personal aside – and the hope for you. I struggled with eczema my whole life (still do!). I started learning about skincare as a teenager to take control of my own health, and I became an esthetician to continue that education and share my knowledge with others. I know, personally, how empowering it is to be armed with the information you need to transform your own skin. I have seen my own skin improve in ways that didn’t seem possible, and I have been able to help thousands of others achieve similarly amazing results through my work as an esthetician and with Peach & Lily. And I want the same for you. I hope that pibuu will be your trusted friend and guide in your journey towards healthy and radiant skin!